Use to attend any classes or workshops. FREE mat rentals included & 10% apparel discount included. Purchase online and bring downloaded JPEG (you’ll receive after purchasing) along with receipt to studio to redeem. 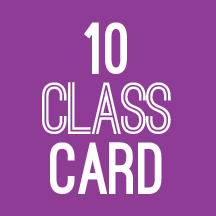 Your 3-months unlimited begins the day you attend your first class using this package. Begin your 3 months whenever you like! Just to prove you are a human, please solve the equation: 20 + 8 = ?